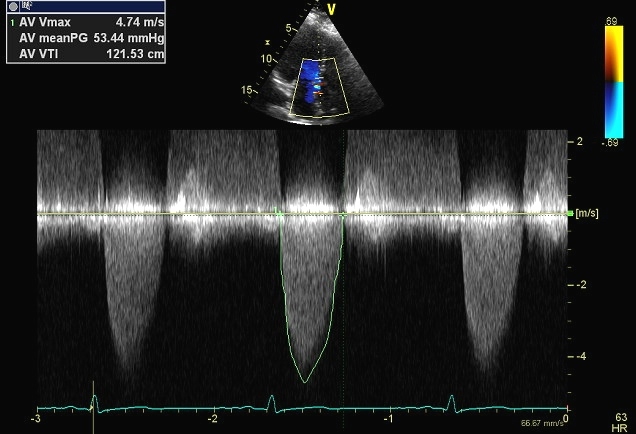 3-dimensional ECHO for LV volumetric analysis and calculation of ejection fraction. 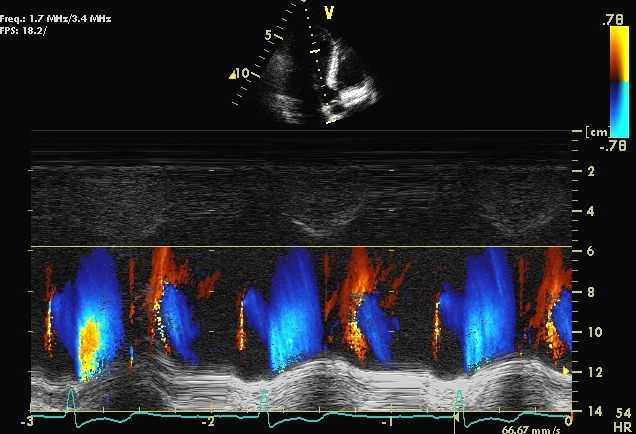 Continuous wave (CW) Doppler interrogation of trans-aortic valve gradient. A mean systolic gradient of 53 mmHg suggests significant aortic stenosis. 2D ECHO images demonstrating a huge papilloma-like mass attaching to the aortic valve. 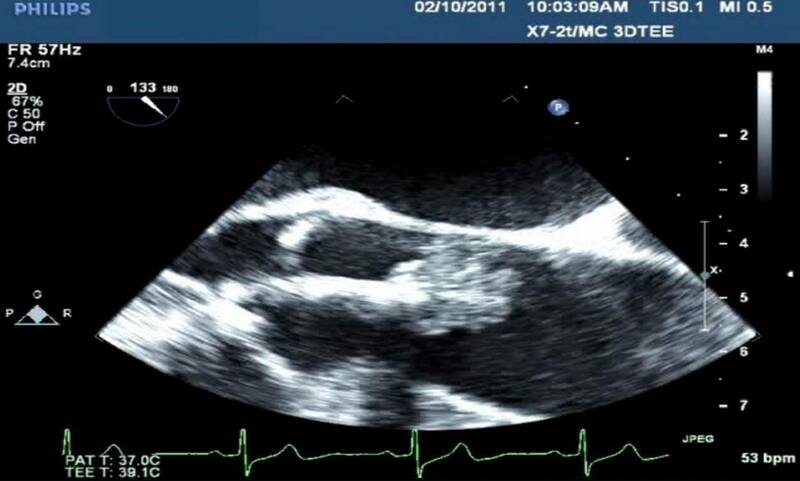 M mode ECHO demonstrating eccentric aortic valve closure line of a bicuspid aortic valve during diastole. 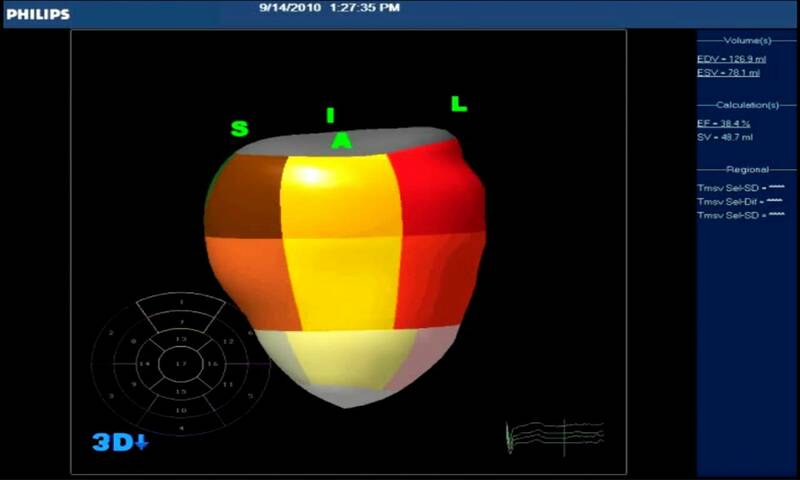 M mode image with addition of color flow Doppler of LV cavity. 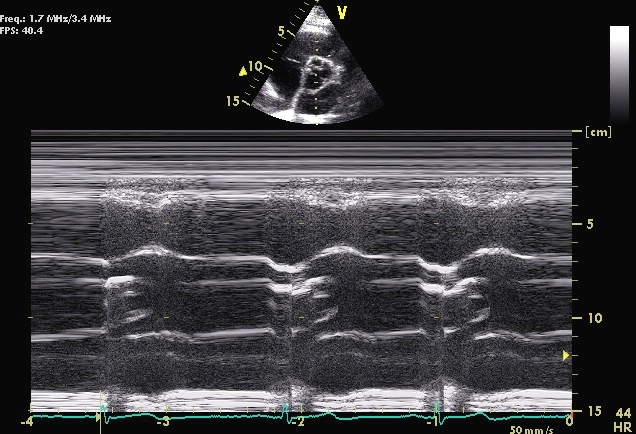 Supplemental information for LV diastolic function could be obtained from the early diastolic flow propagation velocity.